Above...one of the more interesting job assignments for GA's (general assistants)...known in the older days as GFA's or general field assistants. This job classification involved getting paid very little, shoveling a lot of snow...and otherwise ending up with a wide variety of interesting and unusual job assignments, such as that depicted above. Many senior management people in the program...including folks like Jerry Marty, got their start this way. Alas...the current contract structure no longer includes this job classification. Like many other folks, I prefer to go to exotic and unusual places while getting paid to do so. My first trip and subsequent job in the Antarctica...back in the 1970s...resulted primarily from military experience. As things have generally transitioned from the U. S. Navy program of the IGY (and previous) years to one operated by civilian contractors, the hiring situation has become much larger, more complicated, confusing, and of course online. [If you haven't seen it yet, please check out my historical page which describes the history of the transition from military to civilian support of the U. S. Antarctic program...not to mention the torturous process which led up to the award of the current contract at the end of 2011. The previous two support contractors, Raytheon Polar Services Company (RPSC, 2000-2012) and Antarctic Support Associates (ASA, 1990-2000) were pretty much monolithic. While they did utilize some subcontractor support, they hired almost everyone who worked to support the program. They typically would provide advance notice of forthcoming job openings to incumbent employees on the ice (during the previous austral summer/winter seasons), giving them an opportunity to apply and get hired before the job announcements were made public on 1 March. The public announcement and job listing was made on the company web site...and in more recent years it involved a strictly online process--initial application...review by the company...perhaps a phone call or email to verify current interest...a more detailed background check by a third-party HR/screening company such as HireRight...hopefully leading up to a job offer. Additionally, in some years there were job fairs in Denver and elsewhere; these originated as resume collecting "meet-and-greet" sessions, more recently they were more informational in nature, and I've attempted to post information about them on social media. All of this changed with the award of the current prime contract, originally awarded to Lockheed Martin (L-M) who took over on 1 April 2012. 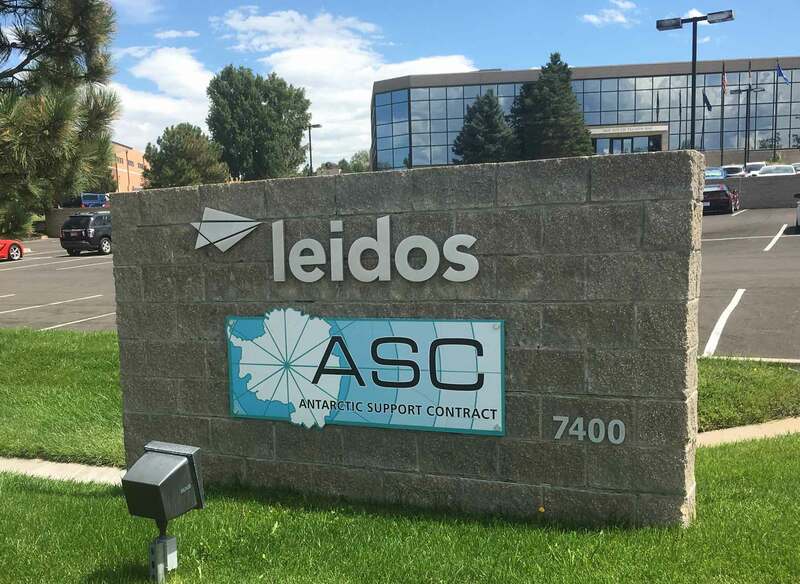 The current Denver office is actually an umbrella organization which calls itself the Antarctic Support Contract (ASC); it consists of a much more extensive network of subcontractors than in the past. While many of the hiring subcontractors maintain a presence in the Denver office, each actually does its own hiring using its own resources, HR departments, and web sites. At the beginning of 2012, as the new contract was being implemented, the initial effort by L-M as well as the subcontractors was to restaff the permanent/full time employees, get signed contracts with the 2012 winterovers, and hire to fill the occasional last-minute replacement vacancy. This process, as well as the initial effort to hire people for the 2012-13 summer and summer/winter, of course went through many changes in procedures, web site links, methods, and contact information. What has happened more recently? Nothing is certain except continued evolution and change...most recently the transfer of the ASC contract from Lockheed-Martin to Leidos, which officially closed on 16 August 2016. My full details are now here. Needless to say, folks involved with the process continue to be reticent about discussing things on open forums, lest their current and/or future status be placed in jeopardy. The summer season main-body jobs for McMurdo typically run from early October to about the end of February; for Pole the summer jobs generally run from late October to mid-February. The winter jobs start as the summer folks are leaving. Some of the positions are (or can be) summer+winter, and a few of the McMurdo jobs may include part or all of a winter season, now that there is not only WINFLY (several early opening flights to McMurdo around the end of August) but additional flights about every six weeks during the winter. As for Palmer Station, there is usually some job turnover every 2-3 months throughout the year, but most of the summer positions run from September/October through March/April. The program strives to hire the winterovers by July/August, but by the time October rolls around there are always some openings--some people drop out, fail to pass the physical or psychological examinations (PQ), or opt for summer-only positions. That said...what do you do if you're looking for an Antarctic job? First of all, keep in mind that there are a few other alternatives not otherwise discussed here. If you're attending or near a university or other institution with Antarctic research interests...the principal investigators who go to the ice sometimes need help in the field...shoveling snow, running massive telescopes, diving into icy McMurdo Sound or Arthur Harbor (Palmer), or drilling holes in the ice in search of neutrinos. Most of the people who go to the ice as part of a science project are graduate students involved in the program, but there are exceptions which I've tried to list below. Other resources (which I really don't know as much about) are those which contract directly with NSF, such as SPAWAR (Space and Naval Warfare Systems Command in Charleston, SC), Kenn Borek Air (Twin Otter/Basler charters), and PHI (helicopter charters). This usap.gov page lists contact information for these and several other organizations which provide direct support and occasionally hire people to go to Antarctica. There is no web link to SPAWAR jobs...as they are a government agency, any direct hire positions must be found on the somewhat inscrutable USA Jobs website. As far as I know they don't have any direct hire Antarctic jobs, but I've listed their hiring subcontractor below as well as provided links and more details about their subcontractors here. Before I continue, I must point out something which I get asked about frequently. In the past, the support contractors have often hired people who are not US citizens (or who are not otherwise legally authorized to work in the United States). All this has changed with the current contract--only US citizens are eligible to work for one of the USAP support contractors/subcontractors. There may be some negotiable exceptions for permanent American residents with certain types of green cards authorizing work in the US, or in very rare cases for specific hard-to-fill positions; but most of the job listings specify "American citizenship." (I have hiring links/info for the other English-speaking Antarctic programs below.) This does not preclude non-US researchers from coming down as part of a science project team, but one must already be a member of such a team, or apply to them directly. I won't go into detail about basic general job search guidelines, there are millions of personal, hard-copy, and online sources for such information. But keep in mind that while you may be looking for a short-term contract rather than a "career," the people who will be reviewing your applications are looking at things from a long-term corporate perspective. For example, I lost out on one position at Pole partly because I didn't have the "right" answers to interview questions about commitment to employment in future seasons. Another thing to keep in mind--employers and reviewers WILL take a look at your public information on social media, blogs, and web sites. I had this issue come up while being considered for another Pole job. Fortunately that employer stood up for me as there was nothing negative involved--and the interesting details were shared with me while I was in their office after being hired. A couple of other quick comments...remember that it can't hurt to tailor resumes and cover letters to the specific job being applied for; also, make an effort to obtain/maintain good contact information. Be sure the prospective employer has the best and current methods to contact you, and make a good effort to obtain specific names and email or telephone contact information for the people doing the hiring. Enough preliminaries...one older resource you should investigate is the Antarctic Memories message board. Although there isn't much traffic there of late, much relevant information is there. Particularly if you haven't worked in the program, you should spend some time researching the various posts (job/hiring related and otherwise). This resource has been around since the early 2000s. The pre-2012 posts about specific positions, application procedures, travel and administrative details during the RPSC contract are a bit obsolete, but the general information about living and working in Antarctica never goes out of date. I'm one of the admins, along with several other folks with a fair amount of experience. If you don't see what you're looking for, feel free to post your own question there or contact me directly. Next, check out my current and recent past links to Polie sites/blogs. While these are primarily applicable to Pole, one which is highly pertinent for all USAP jobs is the blog by 2012-13 summer cook Jeffrey Donenfeld. 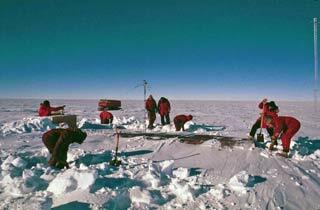 While his main blog is an extensive exposition of the various Pole life aspects and events during that season, his South Pole FAQ contains a lot of specific detail about living in the place, his extensive efforts to get hired over a four-year period...and how he ended up with the job with five days notice to deploy. A couple of other resources...first, of course, there is the usap.gov site. In addition to the information link described above, the page on "jobs and opportunities" provides additional detail and a few good links. And don't overlook the other pages on this site...such as the Travel and Deployment" page, which includes the USAP participant guide, travel information, and the "deployment packets" which give you some idea of what to expect from the PQ (physical qualification) process and travel to the ice. Also take a look at the UTMB information links mentioned below. Okay...here's how to apply. After Leidos assumed the USAP ASC contract by combining with Lockheed-Martin's IS&GS business on 16 August 2016, they first created this web page. It briefly describes their new role in the program and lists the various contractors and their respective general job categories...as well as this highly recommended YouTube video linked at the top of the page. But I strongly suggest that after reviewing this page, you go to the specific links (below), where I've included the exact information on how to navigate the various websites and search for positions. I check and verify these frequently, but of course any of them are subject to change at a moment's notice. Program Management and Integration, Site Management, Functional Area Leadership, Technical Management & Administration (TM&A), Science and Technical Project Services (S&TPS), Information Technology and Communications (IT&C), Infrastructure and Operations (I&O) and Transportation and Logistics (T&L) [these functional department names were created by Lockheed-Martin--perhaps Leidos may yet revise them as they rearrange the furniture]. Here is their job search page. For the Leidos jobs, from here you will still need to do two separate searches by entering the keywords: Antarctic, and Antarctica, (no quotes or punctuation, typical, and NOT in the same search) on the "search jobs by keyword" line. These searches will yield different results, and non-ice jobs may show up if the job description mentions Leidos' ice presence. All of the Antarctic jobs are listed with a location of Centennial, Colorado (although they may occasionally need to hire a science planner-they work out of the NSF office in Alexandria, VA). This is the basic PAE job information and search page. There is other general job info available on this page, but for the specific openings, click on "All Opportunities" and then select "View Career Openings" on the right side of the page. From there, select "More" under locations, and then scroll down and select one or more of the "OCONUS-Antarctica" locations. Or you can just type "Antarctica" in the search box. As of the beginning of 2018, they relisted all of the jobs, mostly whether filled or not. The more urgent/new job openings appear listed less than 10 days ago. The Antarctic Fire Department is a specialized organization hired/operated by subcontractor PAE. As such, they've recently set up their own hiring/employment information page for both summer and winter positions. During the summer, some of the firefighters rotate to Pole for a few weeks in turn. Their page, which describes their functions and the various jobs, is here, although you still need to go to the main PAE employment site mentioned above to apply for these positions. is a new addition to the Antarctic Support Contract consortium, they are supporting the McMurdo redevelopment as the general contractor for the McMurdo upgrade otherwise known as AIMS (Parsons press release and basic AIMS info). They have been hiring folks for the project. Go here, type: Antarctica in the "Location" box and click "search" to see available positions if any. This page lists all of the available GHG jobs including the ones in Antarctica, if any. If you go to the home page and search for "ASC" you will bring up general ice employment information. has transitioned into Six Mile, LLC, owned by Gana-A'Yoo Services Corporation (GSC). See the link below for job information. Food services, housing & janitorial services, retail & postal services, waste management and recycling: Here is their Antarctic jobs listing page; for more general information about the company, this is their website. Medical services...go to their "Center for Polar Medical Operations" home page...the "Job Opportunities" link in the left sidebar lists all of the Antarctic positions that they hire, with links to PDF job descriptions. The "apply now" link lists all of the positions they are currently seeking--click on any of the listed jobs to see a more detailed job description and to apply. Other links on the left sidebar of this page provide general information on the PQ process, photos, etc. The "training/orientation" page provides some fairly detailed orientation info on the various stations...of interest to everyone, not just medical folks..
has only a very few jobs specifically related to Antarctic operations as opposed to grant approval, science program management, and administration. Any of these jobs VERY rarely become available. This page lists all of the current NSF job openings, not just those involved with polar programs. I subscribe to the NSF mailing list which sends me all NSF polar programs job opportunities as well as press releases, so I'll highlight significant job openings as appropriate. As a Federal agency, NSF uses the official government employment site USAJOBS.gov for many but not all positions. hires two winterovers to operate and maintain the South Pole Telescope...as well as the machinist...the fabricator of miscellaneous replacement parts as needed for the science and station equipment, and the annual South Pole marker as well. In 2018 these positions for 2019 were announced in April. Go to this page. From here, scroll down to "University Staff Job Opportunities" "External Applicants" and select the link to "search for staff opportunities." From that page, under "Locations" in the left sidebar, click the "more" button. If "South Pole" is listed, select it to see the available positions if any. Although the job descriptions may say "Health Screen Required? -- No," we of course know better. hires two winterovers each year to run the IceCube project...as well as ARA and whatever else they've got going. They start the winterover candidate search in December for the following season. Summer positions if any will also be listed as they come up. Go here...if there are positions available they will be listed, along with instructions on how to apply. is the Navy organization contracted directly with NSF to to provide weather forecasting, air traffic control, flight following, base operations, systems maintenance, systems engineering, and information security services--at McMurdo during the austral summer season. As far as I know, there are no SPAWAR direct hires who go to the ice. Until the 2017-18 season, the subcontractor was Scientific Research Corporation (SRC). But the support contract was rebid, and after some delay the new subcontract was awarded to DIGITALiBiz on 19 January 2018. As a result, and due to new information about DIGITALiBiz's subcontractors, I created this separate page about their contract, the subcontractors, and their job opportunities. Transportation and Logistics (T&L).This is their job listings page. See this May 2012 news article--While Maersk/Damco is providing support to the Antarctic program, I have never seen any ASC-specific jobs listed. The ASC Facebook page frequently posts jobs that any of the contractors are trying to fill. Go here...you should be able to see the posts even if you do not otherwise use Facebook. The Australian Antarctic Program--have a look at this page if only to watch the great introductory video! The jobs are listed under "Jobs in Antarctica" and "Jobs in Australia." I do like the way they list all of the jobs (with great photos) whether or not the program is actually currently hiring for a given position. They also hire New Zealand citizens. Antarctica New Zealand...this link is to their basic jobs information page, which impressively features VIDEOS (created by Anthony Powell!) about each position. To see the job listings, scroll down and click on the "click here" link in the "Want to Work With Us?" box. Click on the "Current Vacancies" link to see the current openings. They require that applicants be legally entitled to work in New Zealand, which includes Australians as there is a mutual agreement between these two countries. British Antarctic Survey--this is their introductory job information page. The "vacancies" link lists the current openings. I'm unsure of their hiring policy for citizens of Commonwealth or other countries. Oh...as I've also worked in Greenland (albeit not supporting science), I should mention that science support jobs exist there as well. 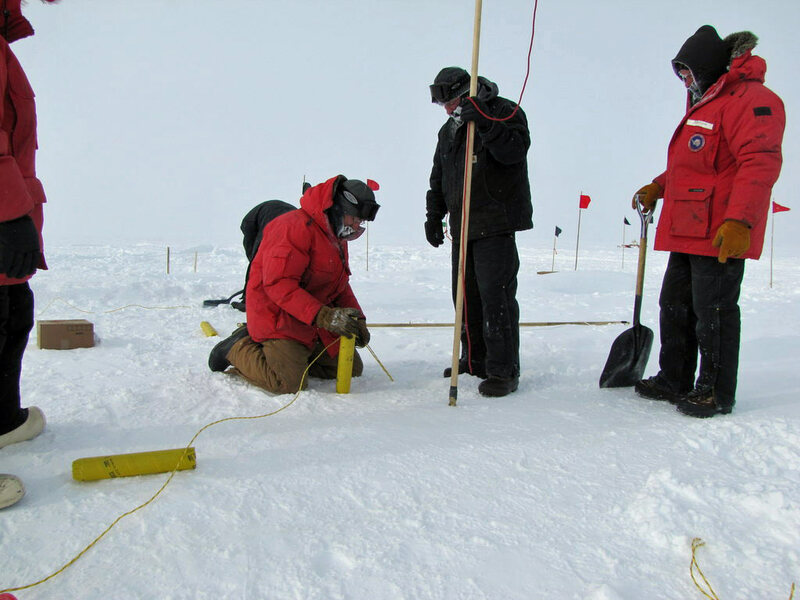 Polar Field Services is the NSF support contractor for the Arctic program--the operation is much smaller than USAP, but they DO hire folks for Summit and other locations in Greenland and Alaska. Here is their jobs page. Good luck...and let me know how it goes! Photo credits: the 2010-11 photo at the top of this page is from Marie McLane; the 1976-77 photo is from Les Rohde; the 1974-75 photo of Jerry Marty is an official US Navy photo by PH1 R. Hilton. Also note that this is a private noncommercial website which is not affiliated with the National Science Foundation or any of the organizations listed; the information and links seen on this page are publicly available and provided here for informational purposes only.